Will Machines Replace General Practitioners Someday? General practitioners may need to up their game over the next 10 years, if artificial intelligence disrupts the market as much as one medtech CEO expects it to. There's so much health data being generated through electronic medical records and other digital health tools that traditional data analysis just doesn't cut it anymore, according to Biotricity Inc., a Redwood City, CA.-based remote monitoring technology company. And the problem is only going to get worse. 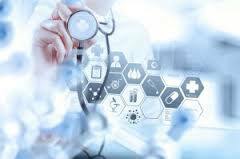 According to a statistic Cleveland Clinic CEO Toby Cosgrove shared during the organization's annual Medical Innovation Summit in late October, the total amount of health care knowledge is due to double every 73 days by 2020. That's an overwhelming statistic even for the head of an $8 billion health care system like the Cleveland Clinic. "How on Earth are we going to keep up with that without more technology, particularly AI?" Cosgrove asked. Biotricity Inc. CEO Waqaas Al-Siddiq made that same point this week during an interview with Qmed. Al-Siddiq said he expects machine learning to totally disrupt the current healthcare market over the next decade. As with any truly disruptive technology, he said, that disruption will be positive in some ways and negative in others. And if his prediction for the future of this market turns out to be true, general practitioners may want to step up their game a bit. Machine learning could "remove the concept of the general practitioner" over the next five to 10 years, Al-Siddiq said. As that happens, those doctors who currently practice general medicine will need to advance their training and become more specialized, practicing more like an urgent care or emergency care doctor than what they're currently used to, he said. For patients, the emergence of machine learning will be like having a personal health care team in their pocket, coaching them on their general wellness and helping them manage chronic conditions. That's where Redwood City, CA.-based Biotricity is trying to stay ahead of the curve through partnerships that will allow the company to integrate machine learning platforms, like IBM Watson Health's technology with its remote monitoring solutions. One thing that positions Biotricity ahead of its competition, Al-Siddiq said, is the data the firm is able to access through its partnerships. Last month the company reported a collaboration with Global to Local (G2L), an organization that provides programs designed to expand healthcare access and improve outcomes in underserved communities. The collaboration between Biotricity and G2L is expected to lead to new solutions for measuring chronic disease outcomes, the company said. But that will also allow Biotricity to tap into data it never would have had access to otherwise - data that will eventually be used for machine learning. "You need a lot of data to play with machine learning and artificial intelligence," Al Siddiq said. Biotricity wants to leverage machine learning technology to reduce, if not eliminate, the number of false positives generated through the use of sensor-based remote monitoring devices, like the company's Bioflux software that is FDA approved for remote cardiac monitoring. Currently, if the software detects an abnormal heart beat in a patient, it could trigger an alert for a technician at a call center to field and decide whether or not it needs to be escalated, based on that patient's individual history and baseline measurements. Machine learning technology could help to streamline that process, Al Siddiq said, potentially reducing the false alarms that eat up time and add costs to the system. While the company's first application for its remote monitoring platform is in cardiac care, the company plans to expand its technology into other chronic disease states, Al Siddiq said. Other medtech companies, like Medtronic, have also started to reach out to IBM and other technology partners to add artificial intelligence to current offerings. In September, Medtronic reported that it was working with IBM Watson Health to develop a cognitive app called Sugar IQ with Watson. That app is designed to detect patterns and disease management trends in diabetes.